"In All Probability" was published in 2009 to great critical appeal. The Press have been kind. A TV celebrity has written to me to say how much they enjoyed the stories. Work is now underway on a second impression with a few small changes. I hope that in early in 2010, a companion book to "In All Probability" (as yet with a carefully wrapped title) will be released. I hope to build on the reception of Probability and included (by request) longer stories. 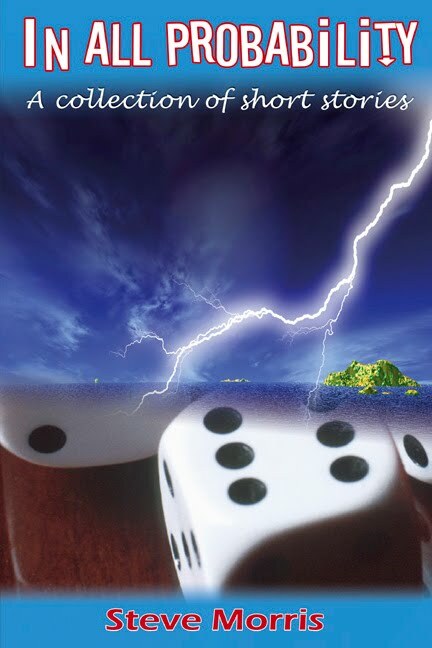 Maybe some of the diverse characters of Probability will make a re-appearance. Probably. Recently a new short story called "Just One Big Game" was chosen for a new armed forces charity book called "Stories of the Poppies". It will be launched in January by Patron Dame Vera Lynn. I hope to meet forces' sweetheart Dame Vera at the event. The new impression of "In All Probability" is about to go on sale. It has been slightly edited and has a new back cover. Drop by to say "Hello"
I am pleased to support the F.L.O.W charity which stands for the Forces Literary Organisation Worldwide. This year FLOW have published two books to help raise funds for the charity. I am proud that they have included one of my stories. FLOW Patron Dame Vera Lynn will be ofically launching the books at a special book signing event. Come and enjoy an afternoon with Dame Vera Lynn and The Forces Literary Organisation (FLOW for All). Poetry reading and book signing. NB: Please note that this event is by invitation only. It is great to see Pneuma Springs titles now listed as "in stock" on Amazon.com and other overseas sites. Just received my copy of "In all Probability" tonight. I look forward to reading this on my train journey to and from work tomorrow. Just thought I would let you know I've completed "In all Probability". I enjoyed quite a few of the stories and will be sure to leave you a review on Amazon. Thanks for making my train journeys to the capital a little less boring. That will be great, John. Much appreciated. I remember those train journeys well from my days there. However, I miss them in some ways because it was a good opportunity to get some reading done.